You are here: Home / Milwaukee vs DeWALT / Milwaukee vs DeWALT | Which Power Tool Brand is Better? Milwaukee versus DeWALT, it is a popular comparison which is interesting when there is so many quality tool brands we can compare, all of them marketing excellent tools. Some aim their product at the homeowner DIY market and others at the construction trade. The main difference between the two is that the tools for DIY is lower priced, built for occasional use and lower duty cycles. The Milwaukee and DeWALT brand are both aimed at the professional where the tools work hard and reliability is key. Is it by mere coincidence that the two brands are compared so often? Or is it that there is such a loyal following among the DIY fraternity and the trade? There are striking similarities and some differences between their tools that make it hard to make an unbiased decision. Both Milwaukee and DeWALT built themselves a solid reputation for delivering quality and durable tools. The two companies produce all the portable tools imaginable. In recent years both companies are actively seeking new opportunities by being involved with the trade on the job, discussing problems and solutions. Both started as American companies with innovative first-to-the-market products way back in 1924. We cannot expect to see an end to the war between the two companies anytime soon. The rivalry is positive and the consumer is the real winner. The range of tools available to the professional is staggering, making every conceivable job simpler, faster and more economical. There will always be the faithful followers of both brands and the quality of play and marketing war between the two will always keep them occupied. Fact is, with some tools DeWALT may be the winner and some others will swing the scale to Milwaukee, yet brand supporters will argue for hours on who the winner is. Which Brand is Right for You? Both brands have similar beginnings, compete in the same market and deliver quality, so let’s start with a brief history of each company. Both companies started as innovative tool manufacturers in the same year, 1924, and till today they still compete in the same market. Milwaukee, through their tradition of producing innovative heavy-duty electric power tools developed a long list of innovative products through the years. Their first major customer was Henry Ford, who used the Hole Shooter compact drill in his factory. Today Milwaukee produce over 500 tools and 3,500 accessories. During the same period DeWALT went through rapid expansion because of government orders for national defense and wartime machinery requirements. The company went through many management and ownership changes and acquisitions. In 1955 DeWALT introduced its first line of portable electric power tools and accessories tailored for residential contractors, and professional woodworkers. Since the company began in 1924, management fully committed Milwaukee Tool to the trade worker market. Today the company still focuses entirely on that market. The brand has a loyal following because the tools became known for their excellent functionality and durability. Milwaukee used a slogan; “Nothing But Heavy Duty” that perfectly captured their commitment to durability. A perfect example of that commitment is the SUPER SAWZALL Reciprocating Saw which spent two years undergoing tests before they launched it on the market. When Milwaukee Tool introduced the Hole-Shooter in 1924, it was the first lightweight, portable, 1/4-inch drill that could be picked up and used with one hand. Milwaukee Tool quickly established a tradition of producing innovative heavy-duty electric power tools. Throughout their range and till today they design their tools for the professional user. In 1949 Milwaukee introduced a follow-up innovation to the Hole shooter, the first right-angle drill on the market. In that same year they also introduced spring clutch technology for sanders and grinders that prevented backlash. They announced the first self-contained portable electric hacksaw, the Sawzall Reciprocating Saw, in 1951. In 1970 Milwaukee introduces the Hole-Hawg High-Torque Drill and in 1979 manufactured the first U.S.-made 4-½” angle grinder. Milwaukee worked close with the trade to find innovative solutions. Throughout their almost 94 years in the industry they delivered a long list of first-to-market tools. During that period, they registered a list of 12 Milwaukee tool firsts, which is impressive. In 1924, the DeWALT Products Company was born in Leola Pennsylvania. Raymond DeWalt, is the man who started the DeWALT revolution. At the time he was superintendent of Seabrook Farms, and he developed a woodworking machine for the purpose of increasing productivity and versatility. During 1924 he formed the DeWALT Products Company with plant and offices in Leola, Pennsylvania. Their product was an electrically powered universal woodworking machine, known as the DeWALT “Wonder-Worker.” According to a 1926 advertisement it was possible to configure it in 9 different ways and would do 19 different functions including: Cross cutting, ripping, mitering, bevel cutting, matching, polishing, panel raising, boring, tenoning, mortising, moulding, fluting, dadoing, routing, sanding, turning, grinding, shaping, and cutting a jack rafter. At the same time DeWALT also offered a dedicated mortiser and jointer. DeWalt’s commitment to quality is a reflection of their long history. In 1992 DeWALT introduced its first line of portable electric power tools and accessories which they designed specifically for residential contractors, remodelers, and professional woodworkers. 1994 is the year DeWALT introduced over 30 new cordless tools, including the most powerful cordless tool at the time, the 14.4-Volt cordless drill/driver and 5 3/8″ cordless saw. The DeWALT cordless system included drill-drivers, screwdrivers, impact drivers, impact wrenches, saws, flashlights, and the first combination drill-driver-hammer drill. By 2001 DeWALT Incorporated produced over 200 electric power tools and over 800 accessories. Because of DeWALT’s extensive research with professional contractors, DeWALT developed the SHOCKS active vibration control system in 2005. It reduces vibration by up to 50 percent compared to hammers without such systems. In 2010 DeWALT introduced the first 12V MAX system of lithium ion tools and batteries. They also launched the metal cutting diamond blade called the Diamond Edge. 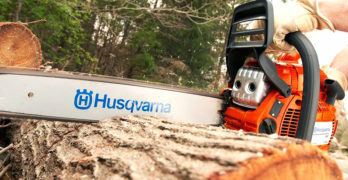 This blade’s life is a hundred times longer than a standard DeWALT chop saw blade. They introduced the 20V MAX System of lithium ion tools in 2011. In 2013, DeWALT introduced its cordless 20V MAX – XR line of Brushless power tools which includes brushless motors and high capacity lithium ion batteries. It was in 2016 that DeWALT launched the FLEXVOLT battery that automatically changes voltage when the user changes tools. Which Tool Brand is the Most Innovative? Innovation means you create a unique solution to someone’s problem. To do that you first have to know a problem exists and then be capable to solve the problem. To be successful in this strategy your product must be good, your marketing aggressive so you can flood the market early. The physical goods, intangible services, and even ideas must be excellent, timeous and available. DeWALT was the inventor of the radial arm saw in 1924 and continued to grow as a company marketing quality tools. Until 2016 it was not the innovator but more a follower that delivered products of excellent quality. In April 2016, DeWALT designed an Android powered smartphone that can survive a 8-foot drop onto concrete. It can operate in temperatures ranging from −4°F to 140°F. It was innovative, their customers needed one, and they delivered. During September 2016, they debuted their “FLEXVOLT” hybrid voltage battery pack that delivers either 20V (18V nominal) or 60V (54V nominal), depending on the tool it’s used in. Once again it was in line with what the customers needed most, and it was an immediate hit. 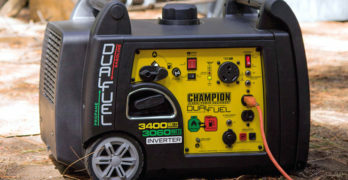 In May 2018, DeWALT released a line of cordless lawn mowers powered by either their 20V or 40V batteries, as part of their strategy to build on their unique battery system. DeWALT’s innovative battery pack is arguably their most innovative product. Their customers with an investment In DeWALT cordless tools that want to extend their range of batteries or tools appreciated the flexibility it offers. Although DeWALT debuted the FLEXVOLT switchable battery pack in 2013, Milwaukee was first to use lithium-ion battery technology. They introduced their batteries in 2005 with the V28 line of cordless tools. 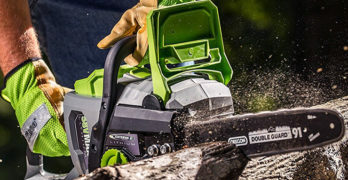 They made a multi-million-dollar investment and spent many years to develop the technology that delivered the first Lithium-Ion powered cordless tools. Milwaukee obtained over 40 US & global patents surrounding the technology and became the talk of the professional construction industry. The clear leader in Lithium-Ion power tool innovation. The new technology gave tools twice the run-time and around 50 percent more power than a traditional nickel-cadmium battery of the same weight. It also offered fade-free performance and opened opportunities for more powerful corded tools to become cordless. Today, hundreds YouTube videos weigh DeWALT and Milwaukee tools up against each other. From their content both are quality brands on an equal footing. Compared to other brands they always seem to be the leaders. But Milwaukee is normally the all-out winner in toughness and with a very strong following in the trade. Milwaukee engineered the M18 FUEL to be tough, as they use it in all their toughest tools that demand more power. Perfect for professionals who depend on their tools every day to earn a living or the serious hobbyist working on her latest humanoid robot project (you know you’re out there). All M18 FUEL products feature three Milwaukee innovations. The Milwaukee POWERSTATE Brushless Motor, REDLITHIUM battery pack and REDLINK PLUS Intelligence Hardware and Software. They have over 175 different tools in the M18 REDLITHIUM system and they add more almost daily. DeWALT’s “GET MORE DONE” range has 180 Products in the 20V MAX line. Almost daily they add a new, upgraded or improved model to this range, all of them use Lithium-Ion batteries. Both have their own proprietary battery packs, brushless motors and hardware to control and protect the equipment. The array of tools is bewildering and I’m sure you will find a tool from both brands you did not know existed. If you’re looking for a solution to a challenge at work, I believe you will find one. Your biggest problem will be to choose between the brands. With two brand names competing neck to neck like this, both delivering excellent products, comments from fellow workers and friends often influence your choices. Although well meant, these sometimes forceful recommendations, are always biased. I recommend doing your research, read a lot, decide what you need and when you pick up and hold the tool, you will know which one you want. It really is that simple, both are good brands. Not all their tools are equal and sometimes the one brand is better than the next, but that plays both ways. Milwaukee offers a 5-year Limited Warranty that they will replace or repair any tool that fails because of manufacturer defect free of charge, and they cover their battery for 2 years. DeWALT has a range of warranties and some are good for a lifetime. They cover their drill by a 3-year Limited Warranty. They also offer a free service in the first year. Milwaukee offers the strongest warranty and obviously trust their product more. In fairness though if a product does not fail in the first three years because of a manufacturing error it should be good. DeWALT’s range of 65 batteries, chargers and accessories confuses many customers. 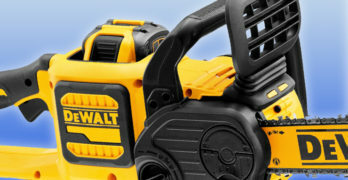 Questions people ask are “What is the difference between DeWALT 20V and 20V XR? Can you use a 60V DeWALT battery on a 20V tool? What is a DeWALT FLEXVOLT battery? and What does XR mean DeWALT? It prompted me to investigate the matter and hopefully find out why there is a bewildering range of batteries in a one-battery-fits-all system. There’s the DCB120, 12V MAX, LITHIUM ION BATTERY PACK, 1.5 Ah, or the DCB127 12V MAX LITHIUM ION BATTERY PACK 2 Ah. Why? If both work in the same tool why market both? And why do I read 10.8V XR li-ion 2.0 Ah on the battery? Fact is, DeWALT offers a wide selection of Lithium Ion cordless power tool batteries. To find one for your specific tool you have to choose from 41 batteries of 12.0 Ah, 9.0 Ah, 6.0 Ah, 3.0 Ah and 1.5 Ah. Their battery voltages include 60V, 36V, 20V, 18V, 14.4V, 12V, 9.6V, 8V, and 7.2V. Thankfully, if you only have some of their newest tools, your choice is narrower, 14 batteries and 4 capacities. DeWALT has three primary voltages for their newest cordless tools: 20 Volts, 60 Volts, and 120 Volts. The tools are all marked with the required battery size. 20-Volt tools can use 20V MAX batteries OR 60V MAX batteries. 60 and 120-Volt tools cannot accept 20-Volt batteries, only 60V MAX batteries. FlexVolt batteries are compatible with all DeWALT 60 and 20-Volt DeWALT tools but with a few exceptions. Standard DeWALT 20-Volt batteries are compatible with all 20-Volt tools, and all 20-Volt chargers. This means that if you used DeWALT tools in the 20-Volt range, you can access over 100 products compatible to the batteries you have. At the price of batteries, it is a huge advantage. But, be careful, you cannot use DeWALT 20V MAX batteries in FlexVolt 60V and 120V MAX tools. They will not fit. DeWALT also produces compact 12V tools that use 12V MAX batteries. The 20V MAX and FLEXVOLT batteries are too large and do not fit these small devices. Interestingly, the battery branded in America as 60V FLEXVOLT, which is really a 54-Volt battery, is branded as the 54V FLEXVOLT in Europe. Milwaukee offers six 12V M12 REDLITHIUM batteries from 1.5 to 6 Ah, and seven 18V M18 REDLITHIUM batteries ranging from 1.5 to 12 Ah. They still provide the old 4 Volt, 14.4, and 28 Volt batteries and chargers. Selecting a battery is easy, you can use any M12 battery in any M12 tool and any M18 battery in any M18 tool. All the batteries are lithium-ion batteries. The M12 batteries come in two different variations, the compact and the high capacity. The 18-Volt batteries have three variations. If you have some 12- and 18-Volt tools you will need both batteries, that’s where the FLEXVOLT battery of DeWALT is a winner. In summary, DeWALT offers a wider range of batteries to cover the new FLEXVOLT and the pre-FLEXVOLT battery range so it may be safer to ask before you buy a replacement battery. To find a replacement for a Milwaukee is simple, it’s either the M12 or M18 and you choose the size you want, or can afford. A comparison of the two brands may be considered incomplete without a direct comparison of tools. But there is over 170 tool types in play, therefore we will have to use a much smaller sample. I selected a compact drill driver kit from each supplier that’s closely matched in performance; the Milwaukee M18 Compact 1/2″ Hammer Drill/Driver Kit (2607-22CT), and the DeWALT 20V MAX XR TOOL CONNECT COMPACT HAMMERDRILL KIT (DCD796). This is not a burnout tug of war between the two drills as featured in some videos on YouTube but a feature comparison that compares the two drills. The Milwaukee has a 4-pole brushless motor with a robust design and it uses rare-earth magnets for longer life. DeWALT use their brushless motor which delivers up to 57% more run time over the old brushed motor. All-Metal Gear Case and Chuck of the Milwaukee provide maximum impact and shock durability. DeWALT uses a high-speed transmission with two speed settings in a metal gear case. The design of these drills is almost identical. The compact design of these drills allows greater accessibility in tight work spaces. Milwaukee’s REDLINK Intelligence advanced overload, protects the tool against abusive situations and provides maximum life. VIDEO | How Does A Brushless Motor Work? The DeWALT is compatible with their ToolConnect app to provide additional controls, alerts, and inventory management. When comparing these drills, keep in mind the DeWALT 20V MAX is really an 18-Volt battery, so comparison to the 18 Volt M18 is fair. In the DeWalt 18V compact drill kit is two 20V MAX Bluetooth Battery Packs with ToolConnect with 2.0 Ah charge. The Milwaukee kit includes one 1.5 amp-hours battery with a battery charge indicator. 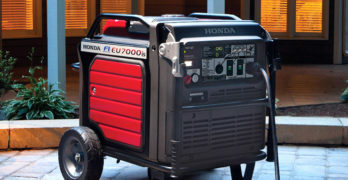 A similar-sized battery of 2 Ah is available from Milwaukee. The Milwaukee clutch has 18 positions. It gives the Milwaukee more control when driving screws, so, if it is what you do most you will prefer the red machine. Milwaukee’s drill comes with unique features like Redlink Intelligence, an all-metal chuck and gear case, and an LED light. The DeWALT LED Spotlight Mode allows you 20 minutes work time in dark or confined spaces. Milwaukee covers their drill by a 5-year limited warranty and their battery for 2 years. DeWalt covers their drill by a 3-year limited warranty, one year of free service, and a 90-day money-back guarantee. When comparing the capabilities of the two machines you get a better insight in how they will perform as impact drills. We normally give the speed of the drill as ‘No load rpm’ because too many factors influence the speed when drilling, like the material density and the pressure exerted on the drill. The no load speed of the Milwaukee in low speed gear is 0 to 450 rpm and 0-550 rpm on DeWALT. Using the high-speed gear, you can vary speed from 0 to 1800 rpm when using the Milwaukee and 0-2000 for the DeWALT. The DeWALT is faster than the Milwaukee but it does not really affect the performance of the drill too much. When drilling steel, the maximum low speed is important because it shows the gearing used. From the figures given it is safe to deduct that the Milwaukee will be easier to control at the desired drill speed when drilling hard steels. BPM is the beats per minute when using the drill as hammer drill, it is what causes the well-known scream of the hammer drill. The beats per minute of the Milwaukee in low speed is 0 to 7200 and 0-9350 on DeWALT. It is to be expected due to the differences in speed of the two drills. At high speed it is 0 to 28800 BPM for the Milwaukee and 0-34000 for DeWALT. Both drills can take a ½” drill bit and can drill a half-inch hole in steels. Drilling in wood with a flat bit the DeWALT has a small advantage, 1 ¼” with compared to 1 1/8” diameter holes. With an auger bit the Milwaukee can drill a 1-inch hole and the DeWALT a 7/8” hole. The Milwaukee can drill a 5/8” hole and the DeWALT and ¼” hole? Hard to believe, it must be closer to 3/4 inch. The price of a Milwaukee kit is 28% more than the DeWALT kit, which offers two 2 Ah batteries compared to the one 1.5 Ah battery of the Milwaukee. I will be a proud owner of any of these drill kits. Both will serve you well and last a lifetime. The price difference is substantial which surprised me, the Milwaukee does not offer 28% more value than the DeWALT. Yellow for Valentine’s day please! Not the usual Red this time.